Looking for a premium cabin that sleeps up to 8 guests in comfort? 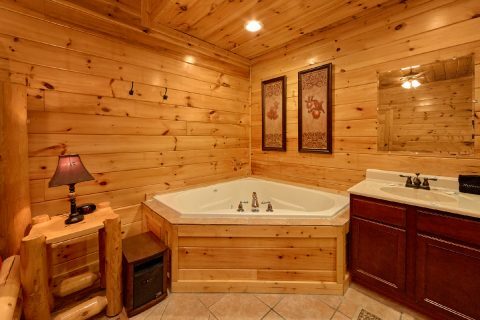 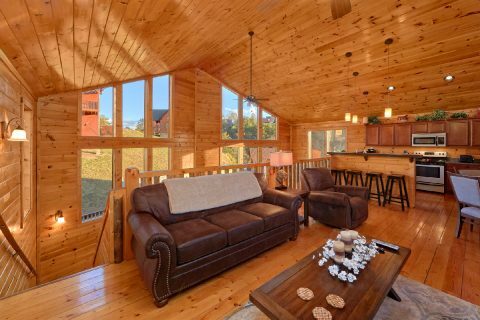 Look no further than "Almost There," a beautiful cabin rental in the Bear Cove Falls Resort area of Pigeon Forge! 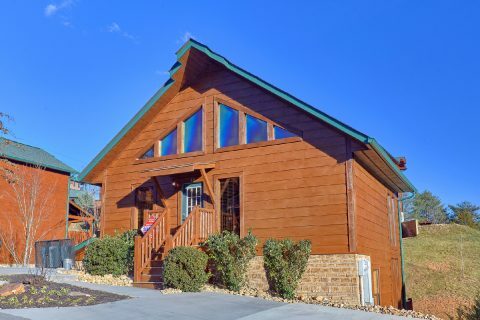 This conveniently located cabin rests only a mile from the action-packed Pigeon Forge Parkway, so guests of this rental can easily reach incredible local attractions like Dollywood, The Dixie Stampede Dinner Show, and The Island. 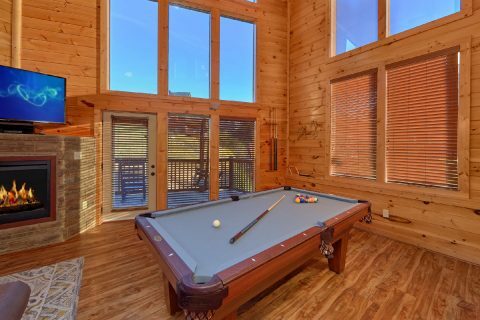 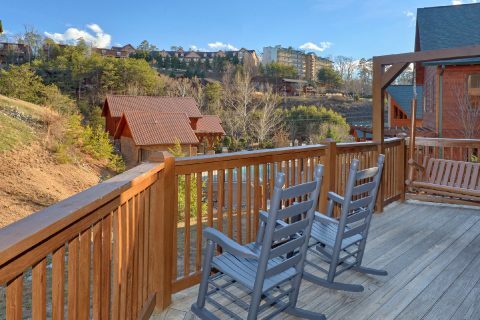 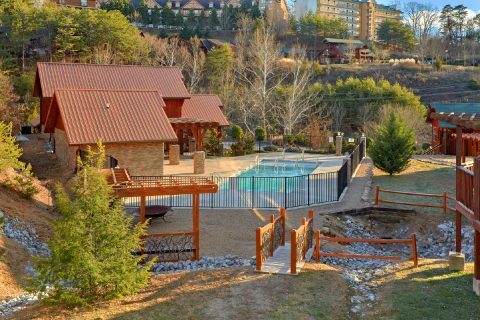 When you aren't out at Pigeon Forge attractions or hiking in the Great Smoky Mountains National Park, you'll love relaxing at this cabin rental that even comes with outdoor pool access. 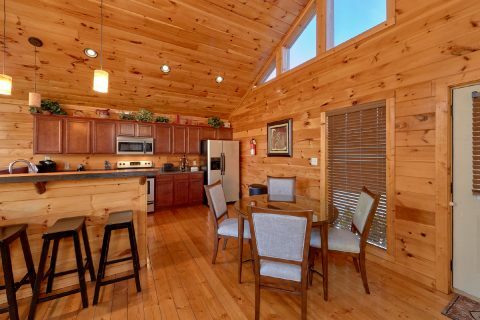 Enter into the main floor of this rental and you'll find an open space complete with large picture windows that let in plenty of natural light. 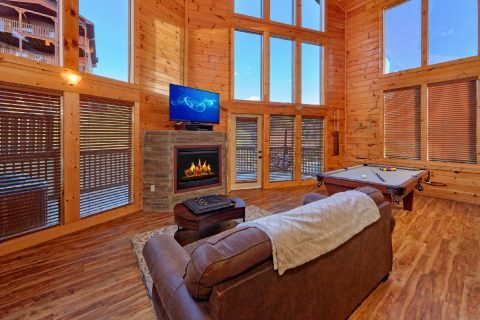 In the nearby living room, you can enjoy a cozy movie night on comfortable furnishings by the electric fireplace and the 55" HDTV with a DVD player. 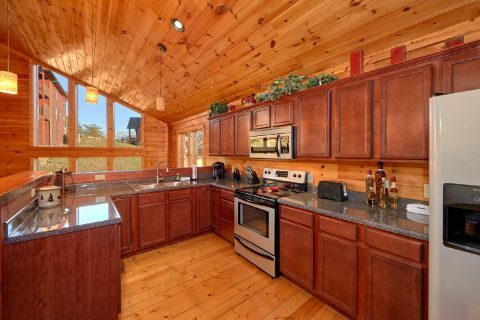 This level is also home to your cabin's fully stocked kitchen that boasts a breakfast bar, a crock pot, Keurig Coffee Maker, and a griddle for the stove. 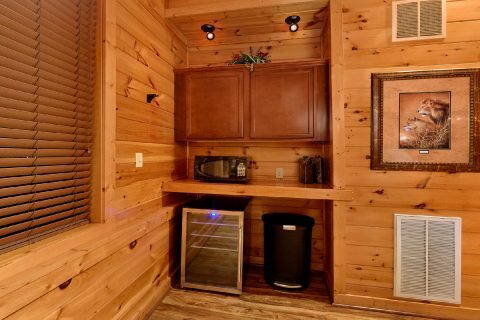 Better yet, this rental also comes with an outdoor charcoal grill, so you can enjoy a fun cabin cookout during your stay. 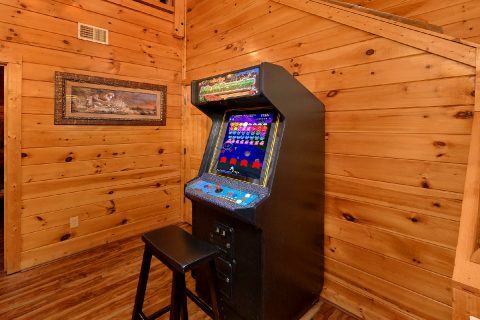 Downstairs, you'll find an excellent game room complete with a pool table, an arcade game, and a 55" HDTV with a television above the mantel. 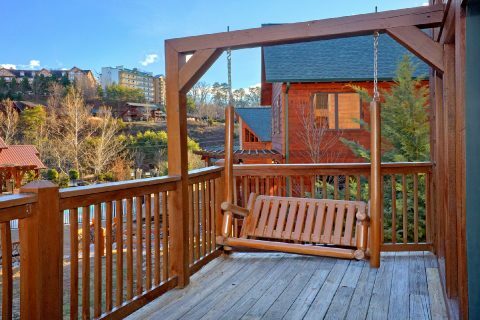 From here you can step outside to your rental's deck to enjoy the fresh mountain air. 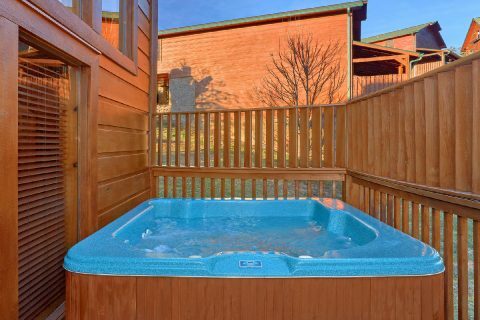 Be sure to take a relaxing soak in the hot tub or just sit back on the porch swing or a rocking chair. 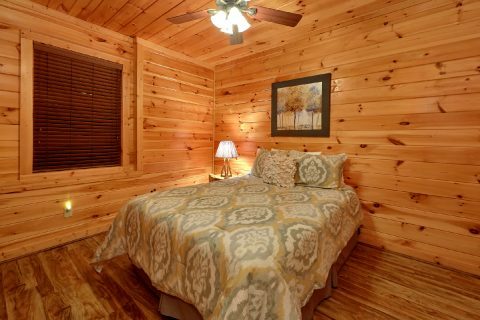 Once you're ready to get some rest during your stay, you can look forward to sleeping in one of this cabin's 2 private bedrooms. 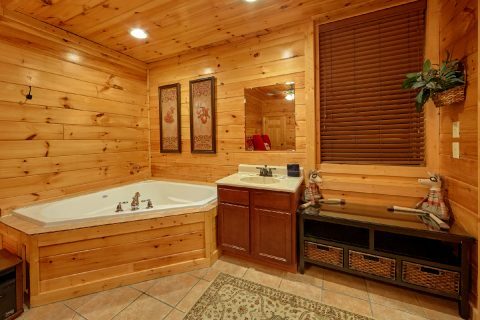 There's a master bedroom complete with a king bed, 32" HDTV, a DVD player, a private jacuzzi tub, and a full bathroom on the lower level. 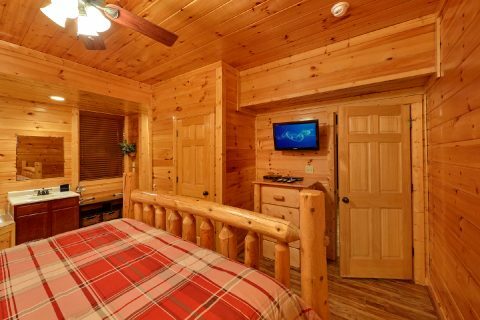 Additionally, your cabin offers a 2nd bedroom with a queen bed and a flat-screen television. 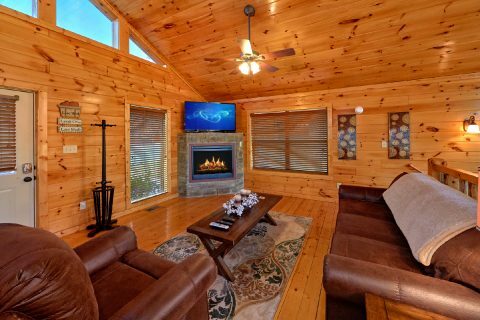 Lastly, "Almost There" offers 2 sleeper sofas with memory foam mattresses, so this cabin can accommodate up to 8 guests in comfort. 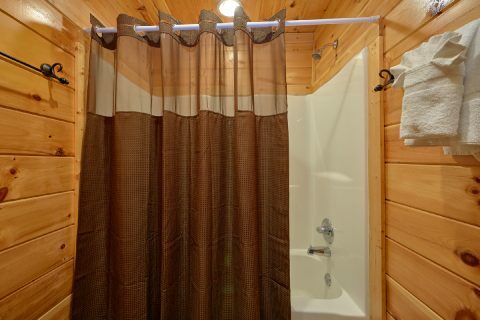 You'll also enjoy practical amenities during your stay like this cabin's washer & dryer, WiFI Internet access, and parking for up to 3 vehicles. 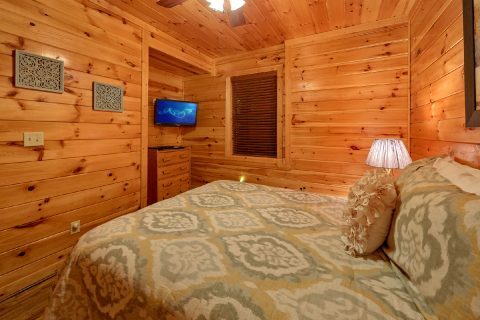 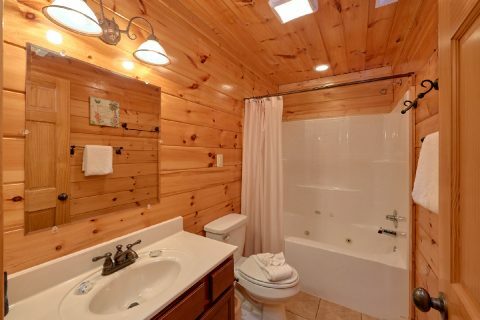 This recently renovated cabin provides new furnishings throughout, so you can be sure you'll have a comfortable getaway in this Smoky Mountain cabin. 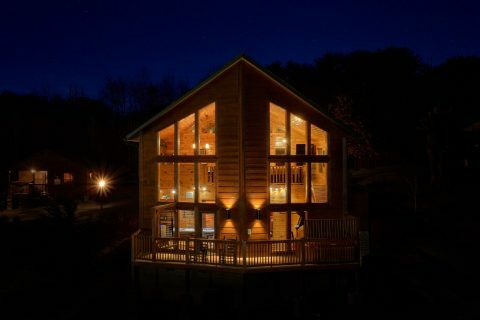 Book "Almost There" today with Cabins USA Gatlinburg to earn a 15% discount on your nightly rate! 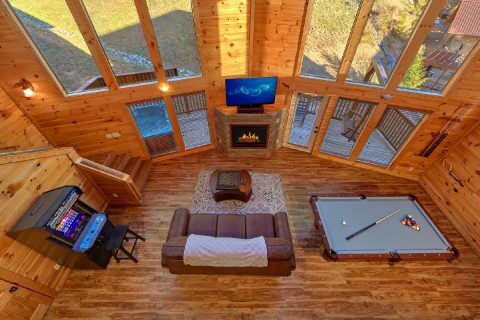 Save on your cabin vacation while enjoying a premium cabin with a pool, a game room, hot tub, and more!